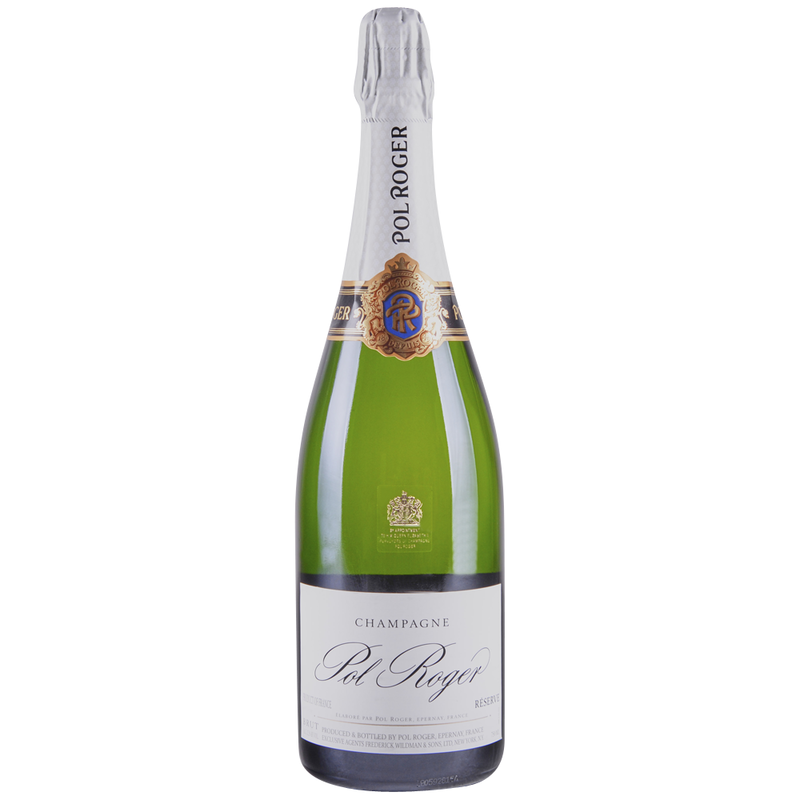 Pol Roger Brut Réserve diplays a beautiful golden straw coloured hue, as well as abundant and fine bubbles. With a powerful and attractive nose, it first delivers aromas of fruit (pear, mango ...) and then releases light flavours of honeysuckle and white jasmine, lingering on vanilla and brioche notes. Behind a frank and dynamic attack, the wine encompasses a nice harmony and a pleasant freshness, whilst preserving some structure. On the palate, flavours of cooked fruit (quince jelly, apricot jam) happily mingle with fragrances of beeswax and acacia honey. The long-lasting aromas, composed of both fruity (candied orange peel, tangerine...) and spicy notes (cardamom, anis) is outstanding. An elegant Champagne, with a smoky, minerally underpinning and subtle flavors of poached pear, toast, candied lemon zest and ginger riding the finely detailed bead. Harmonious, and hard to stop sipping. Drink now through 2020.